Yes, that’s a rather esoteric title for my little blog, but fear not, my lovelies. I’m not going to be delivering a deep and depressing scholarly exposition. All I want to talk about is the fact that the Deep South, my beloved homeland, has long been known for its storytelling. What other section of the country has produced the great writers and songwriters that the South claims? Why do Southerners excel at storytelling? There are lots and lots of the deep and depressing dissertations that examine that question, and if you are so inclined, I encourage you to seek them out. But to sum up, some say that the South drew its people from cultures where an oral storytelling tradition was already well-established — the Africans, the Scots, the Irish. Others say that it was the insular nature of life in the South; people who don’t have the money or education have to amuse themselves however they can, and they develop a serious devotion to storytelling. Me, I don’t know about all that. I think it may have just been that on those long, steamy nights in the South before air conditioning, nobody could move around too much, and they just sat on the porch, slapped at mosquitos and no-see-ums, and told stories. I’m going to do my best to follow in that long and lovely tradition, telling you all some of my stories about life down here in the swampy bayous and on the sun-soaked beaches. Starting tomorrow, I’ll be posting at least one tale a week, some true, some fiction. This is my land, North Florida, where the Deep South meets the Tropics. 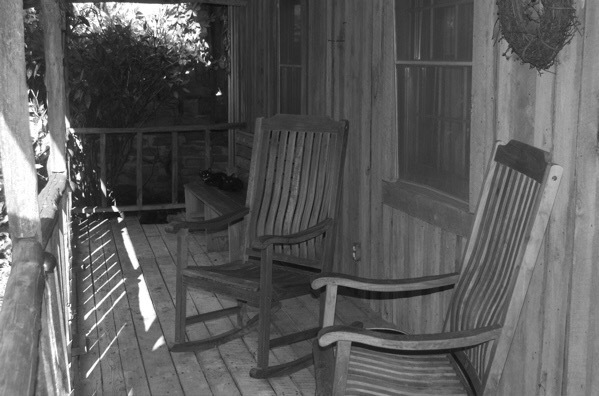 Pull up a rocking chair and we’ll get started I hope you enjoy it.